I’m a mean mom and removed most of my kids’ toys and I’m not mad about it! It has made our house cleaner and my family happier. Today, I’m sharing how to get rid of most of your kids’ toys, too. Just please don’t tell them it was me that inspired you. Growing up, I was a slob. My parents called me a tornado, because you could see every room I went into and the mess I left. 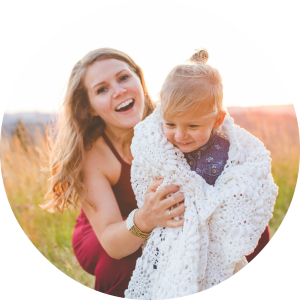 Fast forward to having kids… I thrive on a decently clean home, and when it starts to get messy, my life feels chaotic and it stresses me out. If there are too many dishes left in the sink, it may freak me out to the point where I just leave it for my husband. It stresses me out so much. Keeping the house orderly and clean makes it easier to get much more done. I’m so productive when everything is in order. Once you become a parent, toys can really become a huge issue. They can easily start to take over, causing great stress and stealing joy. You may even feel stressed and not realize the toy clutter is having an impact on you. We have always been on a mission to keep kid clutter under control. The focus at our house has been experiences over things. Things break, get lost, and get forgotten, but the fun experiences we have as a family will always be in our hearts. But even though we make a conscience effort to keep the toys at bay, those objects can easily take over without anyone noticing. Between family and friends, the kid clutter slowly creeps in. I love that our family likes to buy our children gifts, and it’s a way for them to show our children love since we live far away. But truth be told, they don’t play with the majority of their toys anyway, and sometimes the things they buy are kind of junky. Someone I know (cough, cough, Neil) just donates the random junky things. Sorry family, please forgive us. We are careful with our toys, and my daughter knows she is not allowed to just pour the basket of toys into a crazy disaster. She’s learned that she needs to look through the baskets to find what she wants. This helps her learn at an early age to care for the things given to us. It also cuts down on the amount of toys lying about, but daily, I pick up scattered toys. One day, a friend and her children came over, and they dumped out the baskets of toys leaving a gigantic mess. And when my husband came home, you could see the look of terror in his eyes. That was the last straw. I’m not going to continue to pick up random toys that aren’t really played with anyway. 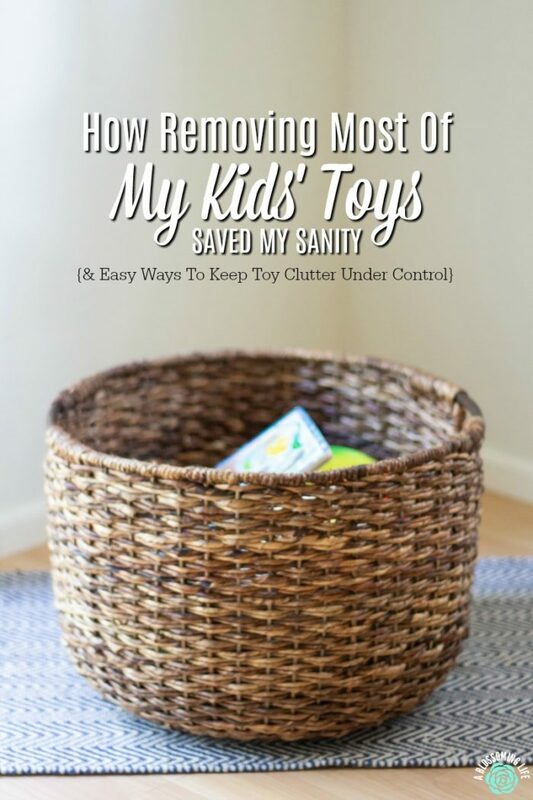 So what can you do to control the kid clutter? Talking to a friend a while back, she was telling me how she put most of her child’s toys in storage and was planning to just play outside all summer long. They could play in nature, with nature, and with whatever random things nature provides. They needed to be creative with what they had. So, that’s what I did. I went through all the toys, picking out our favorites and some educational toys and kept it to one small basket. The rest of the toys got donated, given away, or put into a closet to be rotated every few weeks. 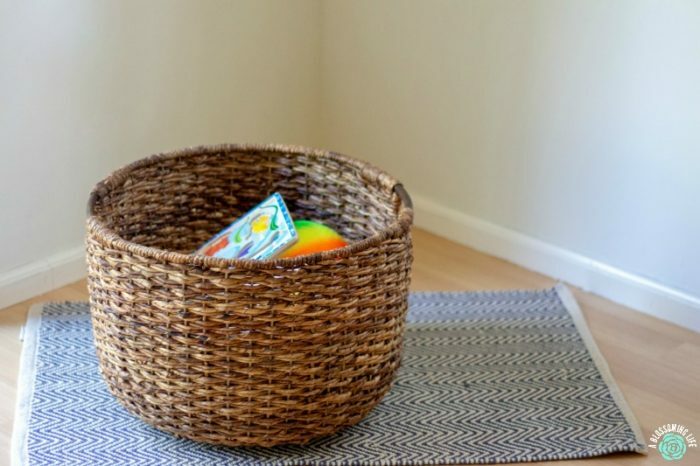 To keep it simple, I organized them into different baskets. 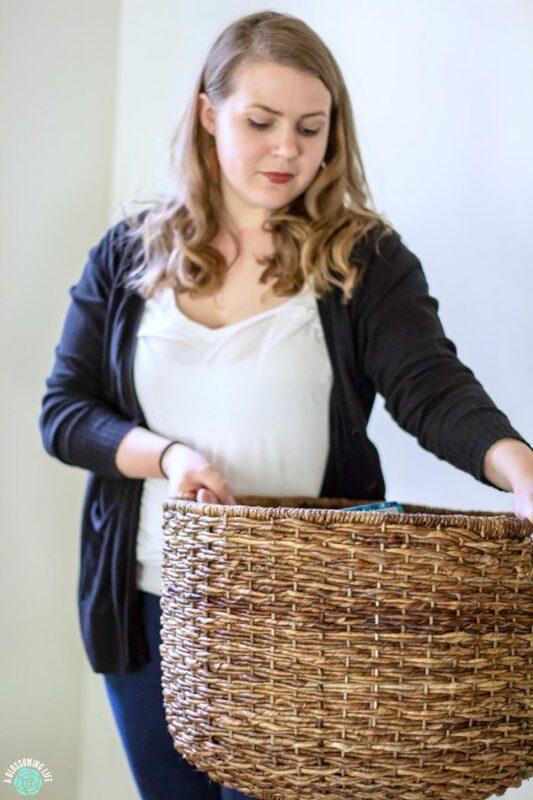 One basket can go in the closet, and a different one can come out. This keeps her from getting bored with what she has. It’s like Christmas every few weeks. After a few weeks of this, I was at another friend’s house and the amount of toys shocked me. I think my husband would have a heart attack. You could see she was overwhelmed by it, and it led to her being overwhelmed in other areas of her life. The less time I spend having to pick up toys, the more time that can be used to do other necessary things. Exciting, adult things, like dishes, vacuuming, cooking, and more. This little thing has been life-changing. No longer am I overwhelmed by the amount of things we have, and I spend less time picking up toys. This gives me more time to get other chores done or to spend more quality time with my children, and I can see a difference in Neil’s stress. Most of all, August is happier and more creative. She hasn’t asked for her other toys and has played with toys she’s forgotten about. The quality of play is better. She can focus on playing with her magnatiles or marbles for longer periods and can create more complex things. She has become more creative and has found new and interesting ways to entertain herself. Teach kids to put away their things when they are done (easier said than done). Set up a rotation and remove the majority of the toys. Every few weeks switch out the toys. Donate or sell toys that aren’t being used anymore. Ask friends and family to not give toys for birthdays. Instead, ask for experiences like a pool, zoo, or museum membership. Or, place money in their college fund. When we do receive gifts, we have the kids pick out their favorite one or two items, and then we return them. Gasp! We then get the money put on gift cards, and we use it to buy essentials the kids need, or use it to buy them presents for Christmas or birthdays. Keep a wishlist on Amazon – People always ask me what the kids want or need. I keep a wishlist for them on Amazon and direct them towards that. That way, we are less likely to end up with tons of random things. The goal is to make a happier and less overwhelmed family. Children are creative creatures, and every parent knows that children don’t need a lot of toys to be happy. Heck, they can make toys out of sticks and rocks. I’m okay with being a mean mom and removing most of my kids toys, and it has made our family better and happier. I want my kids to enjoy simple things and not focus on all the “stuff”.